Disclaimer: The views and opinions expressed herein are solely those of the author and/or guest contributors and do not necessarily state or reflect those of The Perfume Magazine LLC, Raphaella Brescia Barkley or Mark David Boberick. All content included on this site, such as text, graphics, logos, icons, videos and images is the property of The Perfume Magazine, LLC. or its content suppliers and protected by United States and international copyright laws. The compilation of all content on this site is the exclusive property of The Perfume Magazine, LLC. and protected by U.S. and international copyright laws. The Perfume Magazine.com is solely owned and operated by Raphaella Barkley. The Perfume Magazine Banner was designed exclusively by GIRVIN and is the property of The Perfume Magazine, LLC. All images appearing in the banner are registered trademarks of their respected company and are used with permission. The logo and banner are property of The Perfume Magazine, LLC. and are protected by U.S.and international copyright laws. 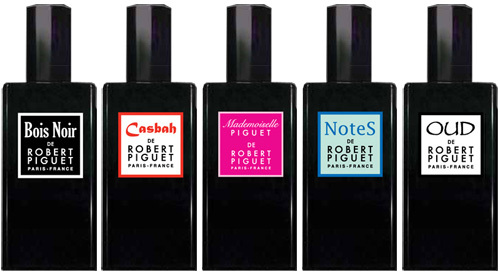 NoteS de Robert Piguet is the only Fougère in the Nouvelle Collection. It is a stunning example of material synergy: single elements morph into a scent beyond what they are as individuals, creating a greater, more effective, more beautiful composition. NoteS is a fragrance that lingers in the mind. Once worn, it is both instantly recognizable and unforgettable. Confident and classic, NoteS is detectable even after 8 hours, wearing closer to the skin as it dries. Sillage is moderate, once the top notes dry. It is easy to understand how NoteS was named. The language of music is helpful in trying to describe the fragrance. 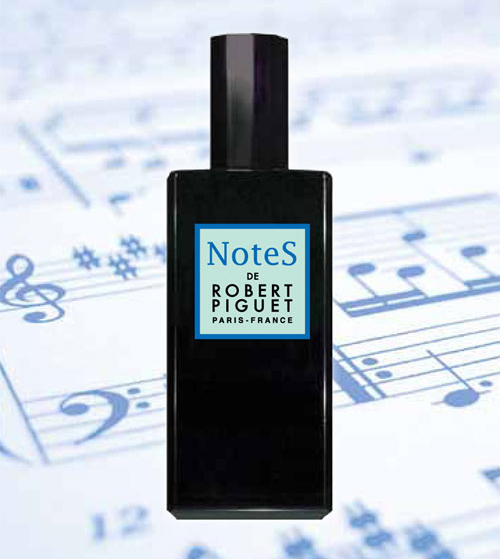 NoteS is a variation on the classic Fougère and it is accomplished handsomely. However, Aurelian Guichard, Master Perfumer at Givaudan, begins with a surprise: there is no lavender in this Fougère . The top pops with a vibrant, slightly floral citrus scent. Bergamot is not an unusual top note but when combined with clary sage, it takes on a warmer dimension. Clary sage has a herbaceous, earthy aroma, almost a bit nutty. Bergamot can be a bit sharp but that is not the case in NoteS. Mr. Guichard has used a deft hand throughout the composition and the combination is relaxing, calming and utterly enjoyable. Aromatic, citrus floral orange flower is tempered by geranium to balance the heart of NoteS. Orange flowers have been used as a calmative and has been a symbol of good fortune for centuries. Geranium also has a long history of use in perfumery. Often used as a substitute for rose oil, it has many of the same benefits. The geranium used in NoteS adds greenness and a little lemony pepper crescendo to the heart. Again, the choice is an excellent counterpoint to the orange flower and prevents the heart from becoming unnecessarily sweet. The tempo of the scent changes in the base notes. Here the variation morphs into a tone poem, expressing a complex cadence. The combination of the traditional Fougère oak moss and tonka bean, set against the vetiver and an unexpected costus note, create a more earthy aroma to stunning effect. 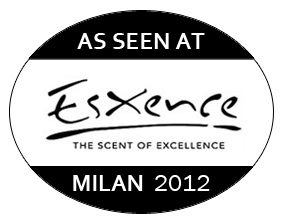 It is a dynamic scent, moving from the initial brio to a subtle chant, as it dries on the skin. Wearing NoteS has been pure pleasure. After all, who doesn’t enjoy hearing “Someone smells really good!” throughout the day? It is easily worn by both men and women; distinctive, classy, long lasting. If a Fougère were an aria, its name would be NoteS. Bravo! Brava! Bravissimo!